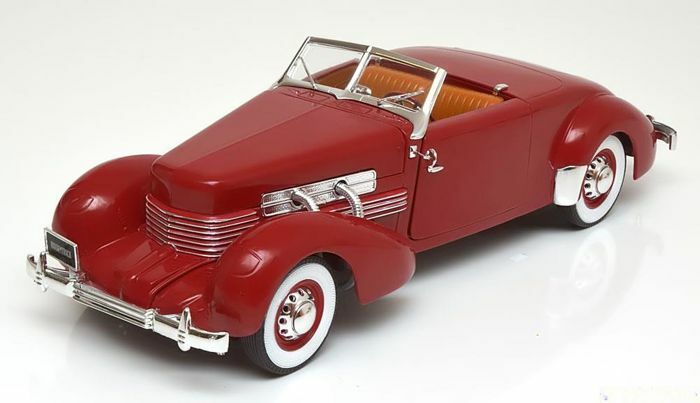 The Cord was in the late 1930s one of the most luxurious, prestigious and elegant cars that were available for the 'happy few'. 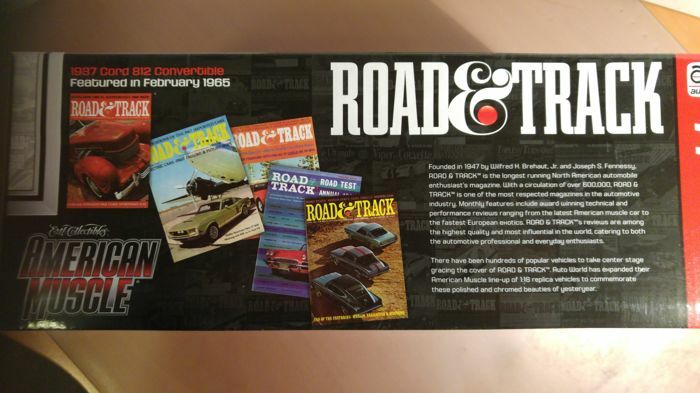 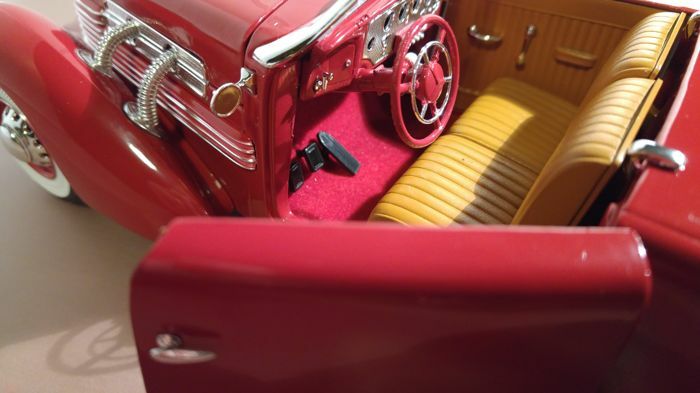 With all luxury that was technically possible at the time. 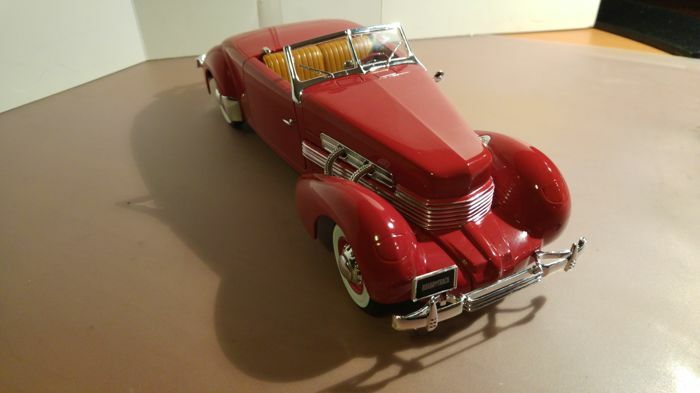 With a beautifully designed body that excelled in power. 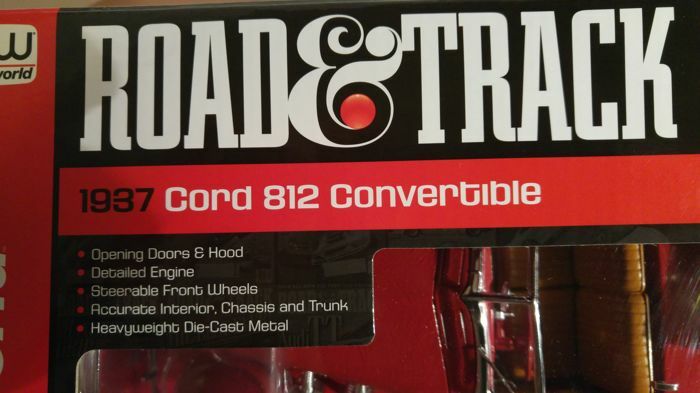 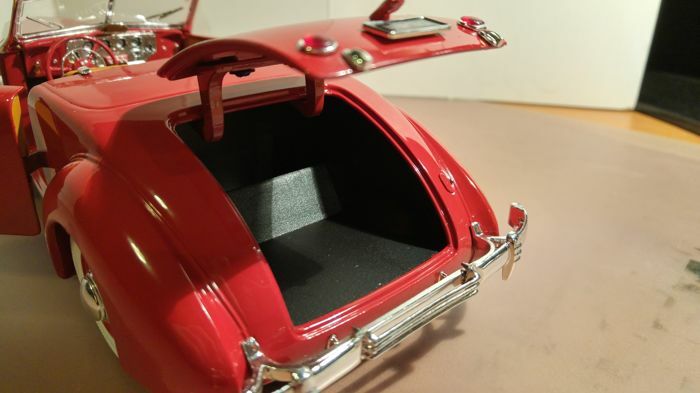 De doorways, doors sounds too cheap here, hood and trunk can be opened. 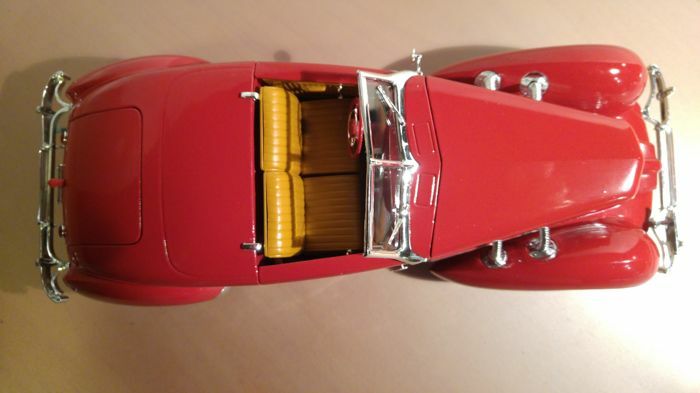 The ‘engine room' is very nicely detailed, just like the chassis and the trunk, while the interior is very tastefully done. 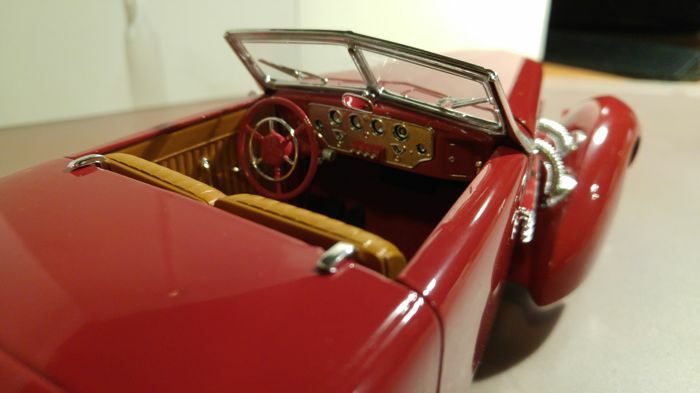 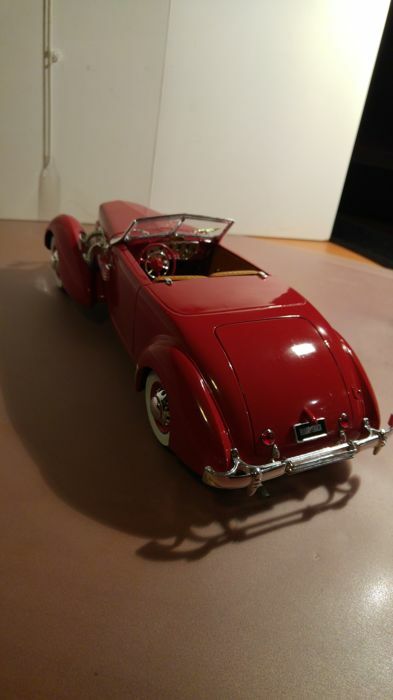 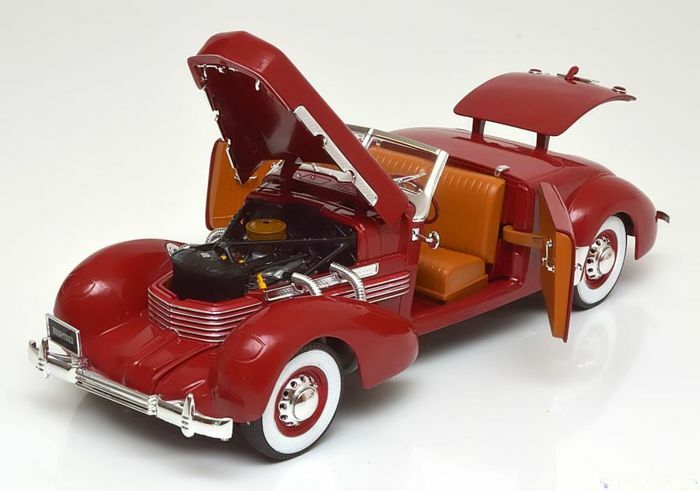 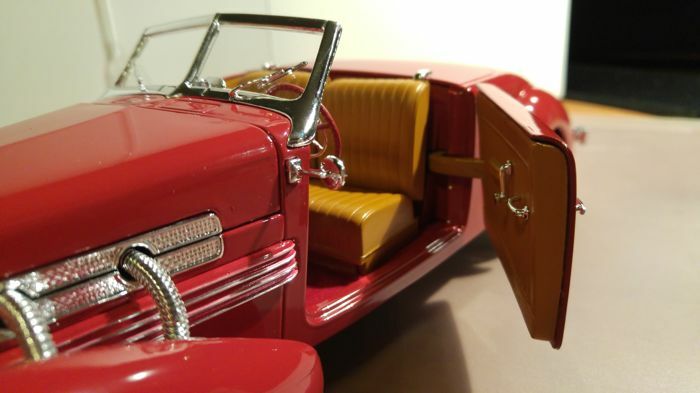 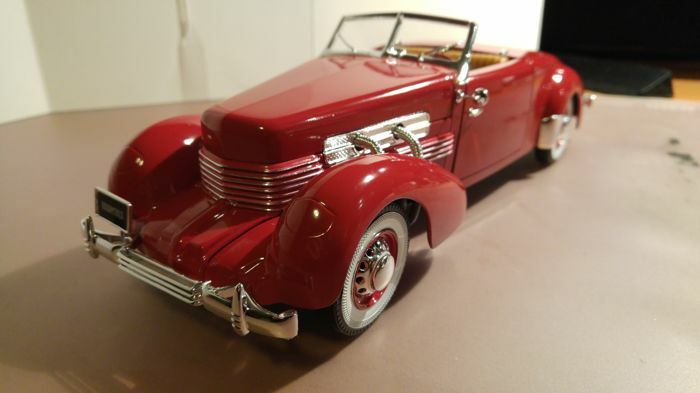 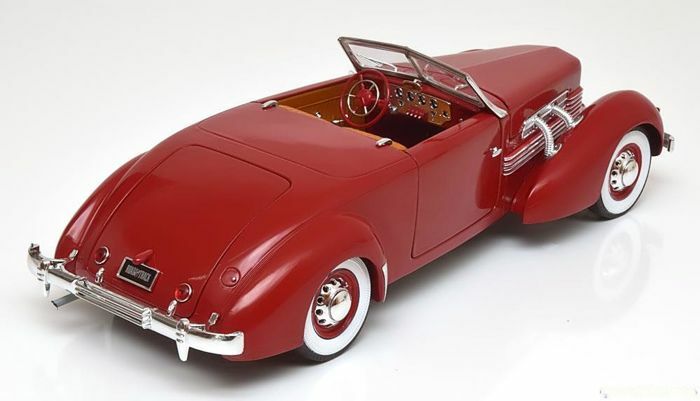 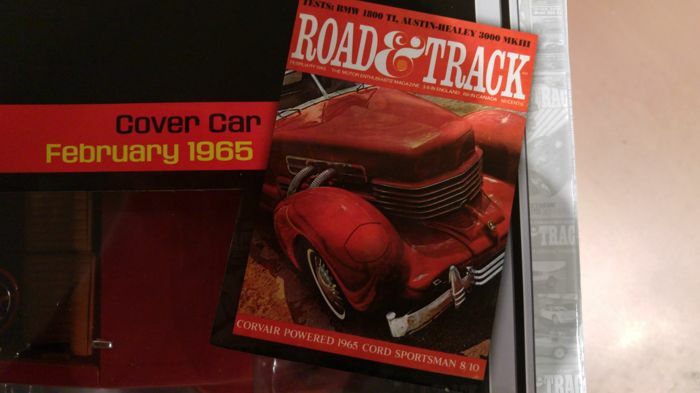 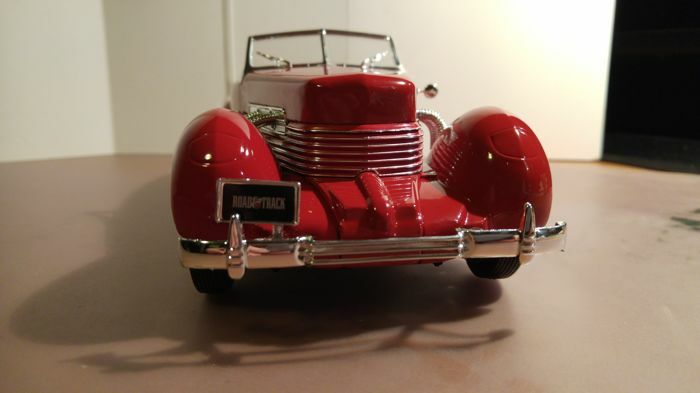 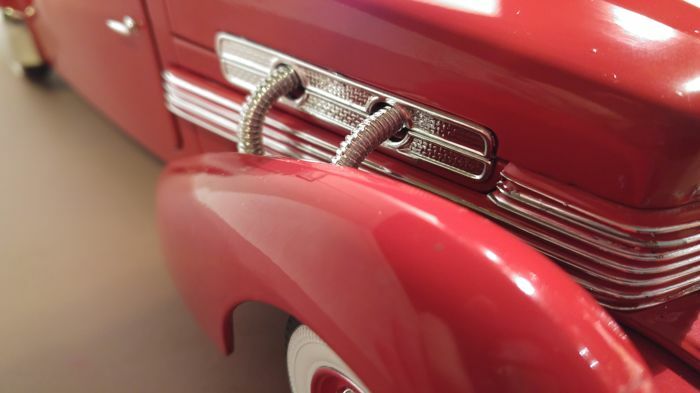 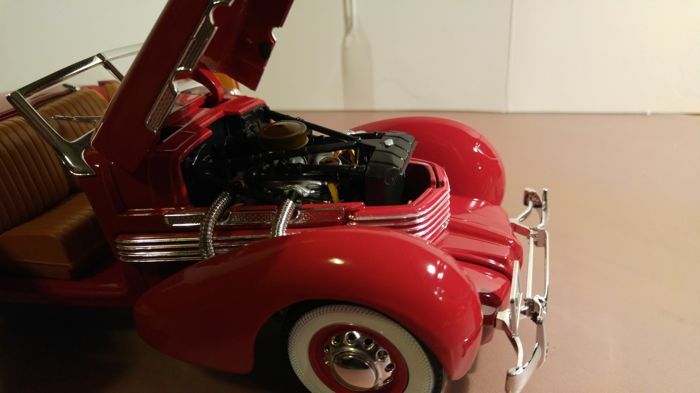 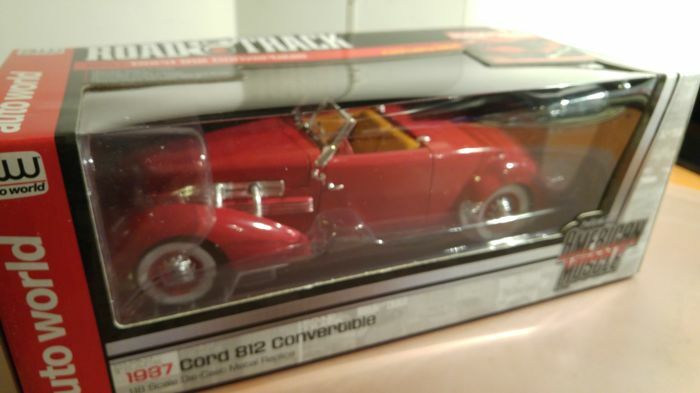 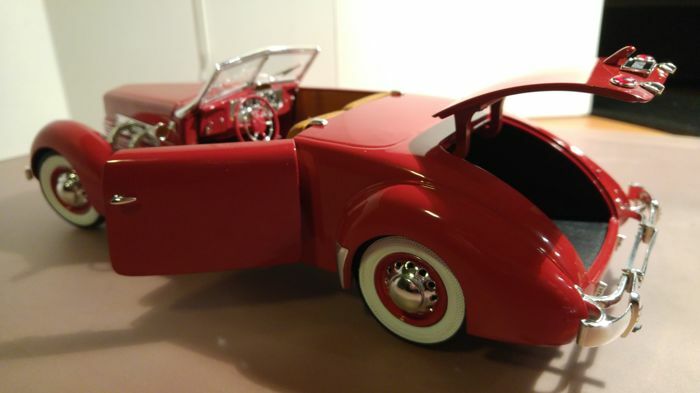 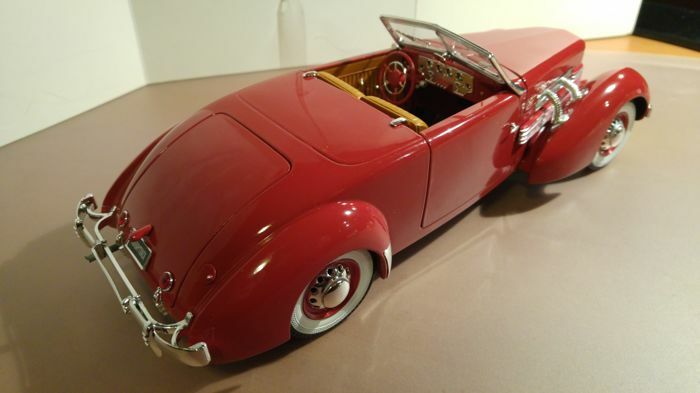 The Cord 812 Convertible is made by Etrl in a 'heavyweight' die-cast metal, which makes it beautifully heavy in hand! 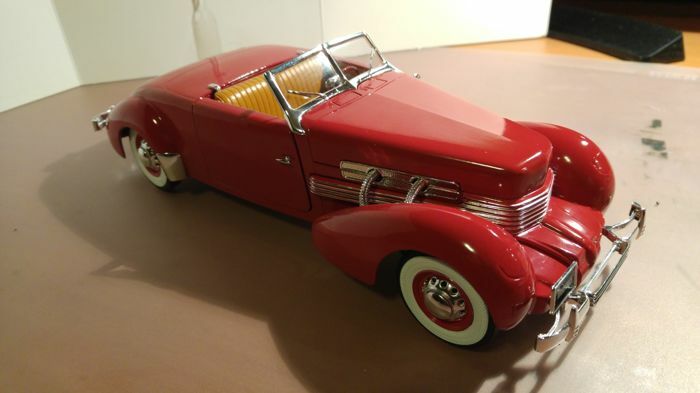 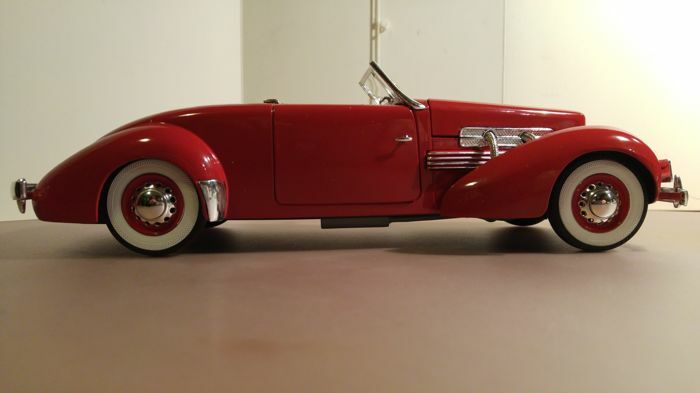 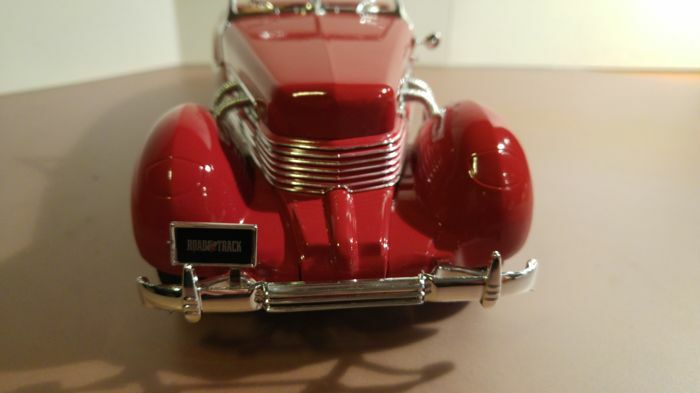 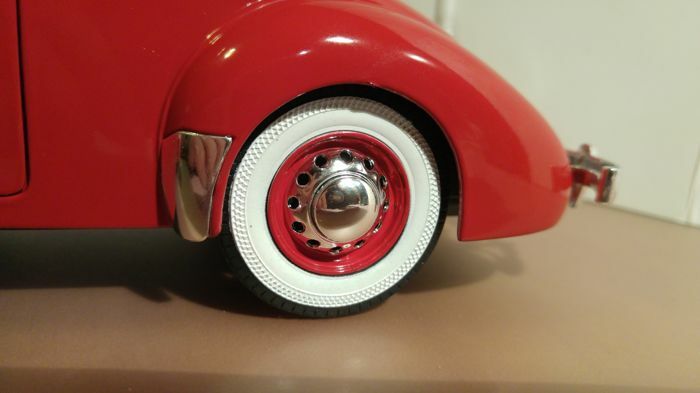 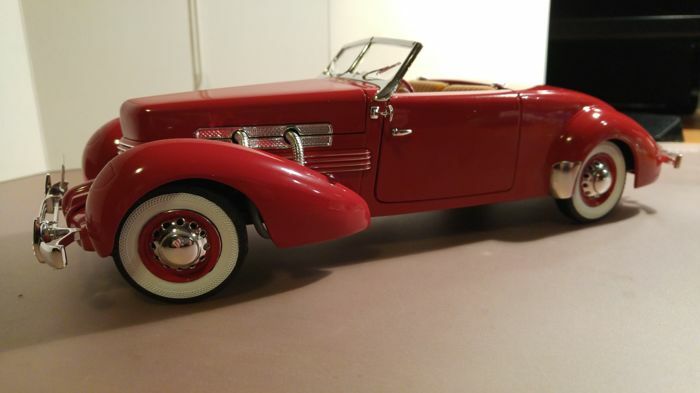 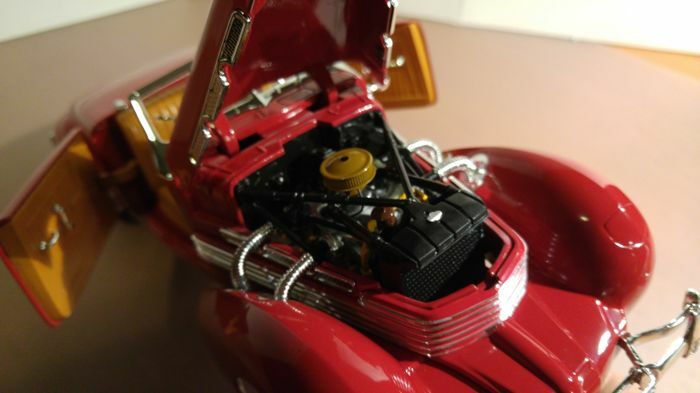 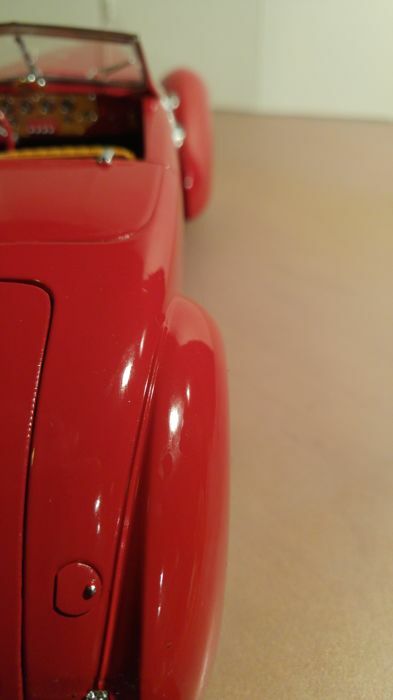 Auto World has increased her line-up from American muscle-cars in Scale 1/18 quite extensively because there was a large worldwide demand for this magnificently made model, painted beautifully, and made with lots of chrome, the beauties back then.